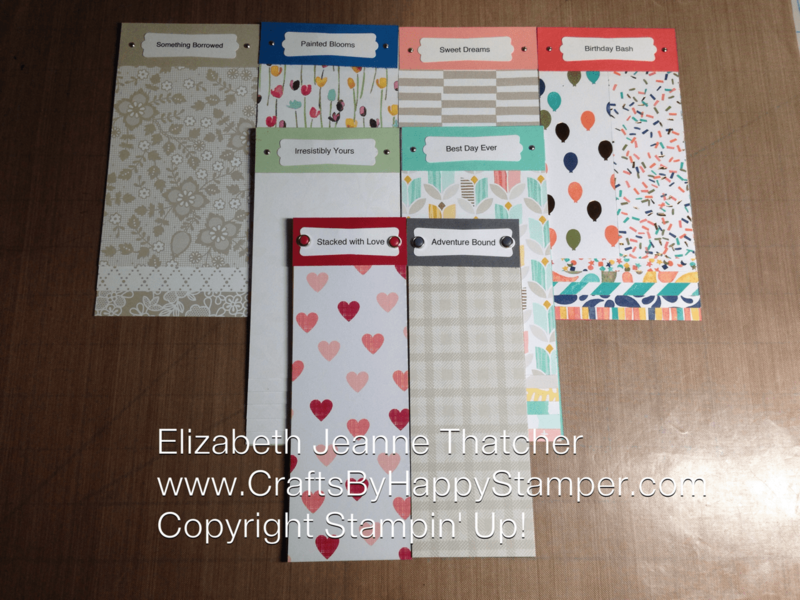 Welcome to the OSAT Blog Hop! Thanks for checking me out, and please continue on with the hop by clicking Next at the bottom of this post! 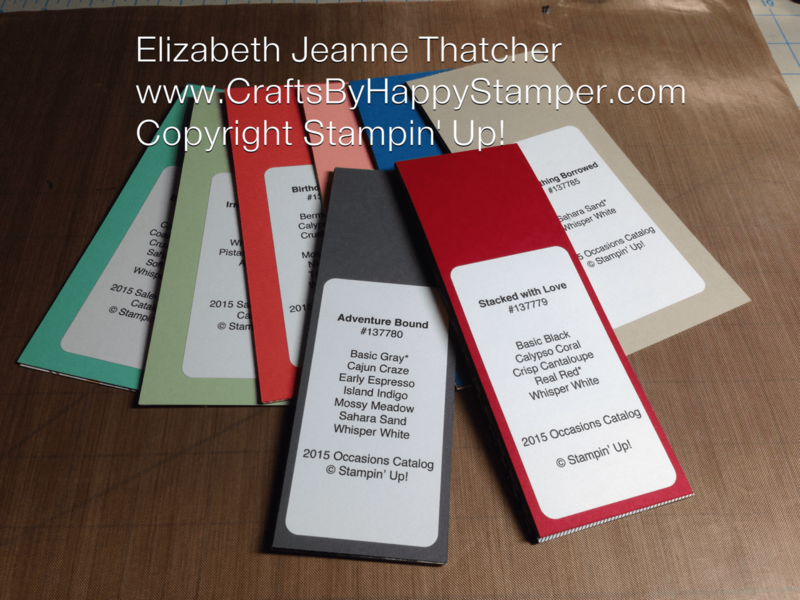 I’m sharing TWO projects with you today! I’ll be teaching both of these at my Technique Club tonight! I love this flower pot card! 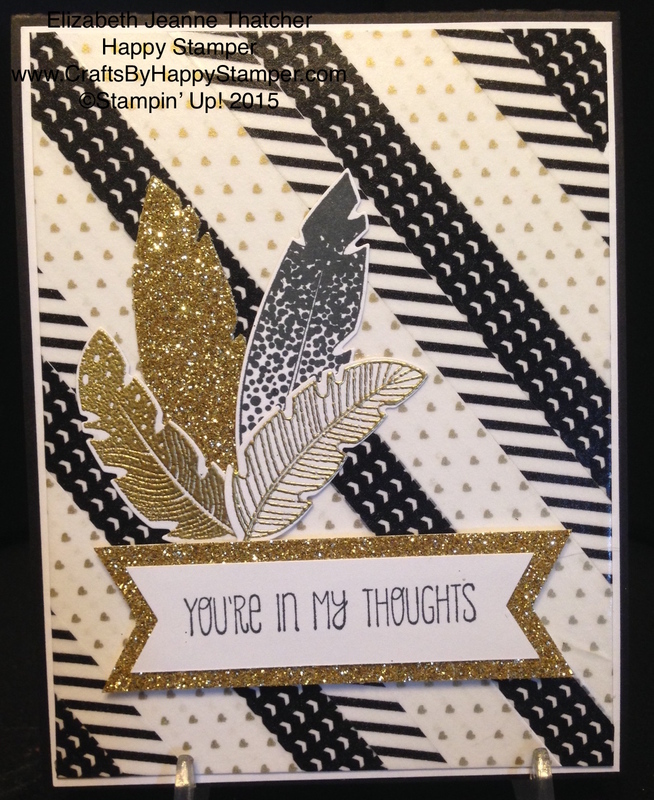 The white embossing on various light colored card stocks really makes this a beautiful card!! 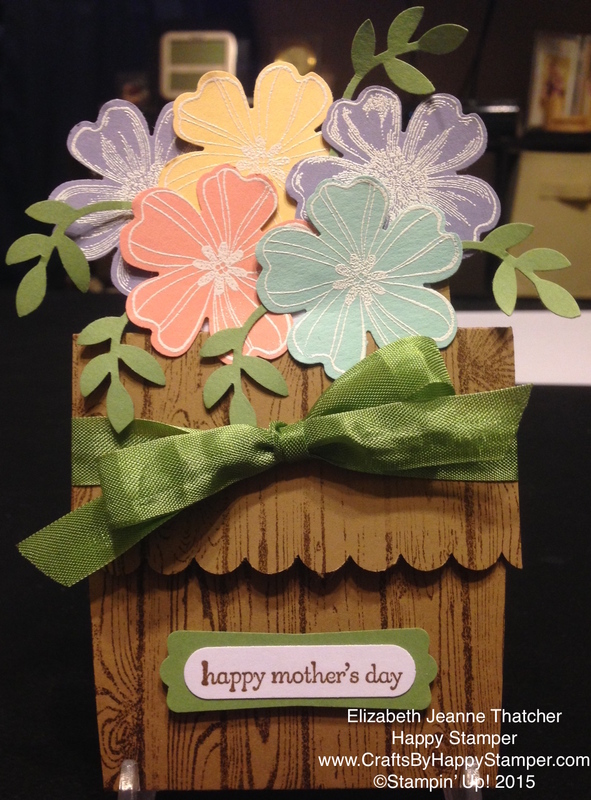 Check out the video for step-by-step directions on how to make this card! I’ll be making this card tonight with my technique class! Here’s the video on my new YouTube Channel! Click subscribe and give it a thumbs up if you like it! Keep scrolling for the second project! Supplies are all listed at the bottom of this post! 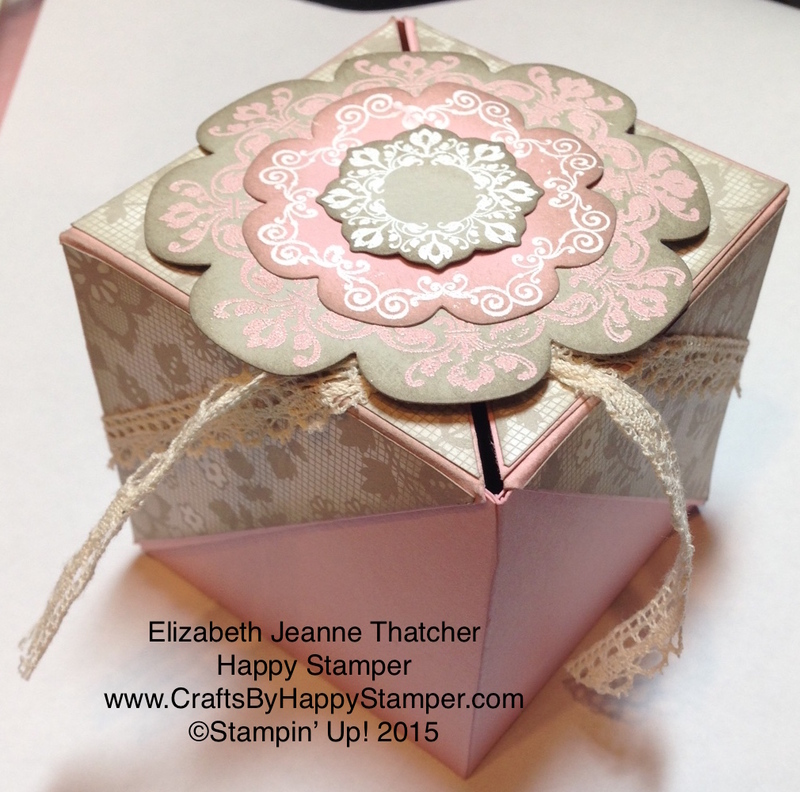 Here’s the video for the Winged Gift Box on my new YouTube Channel! Click subscribe and give it a thumbs up if you like it! 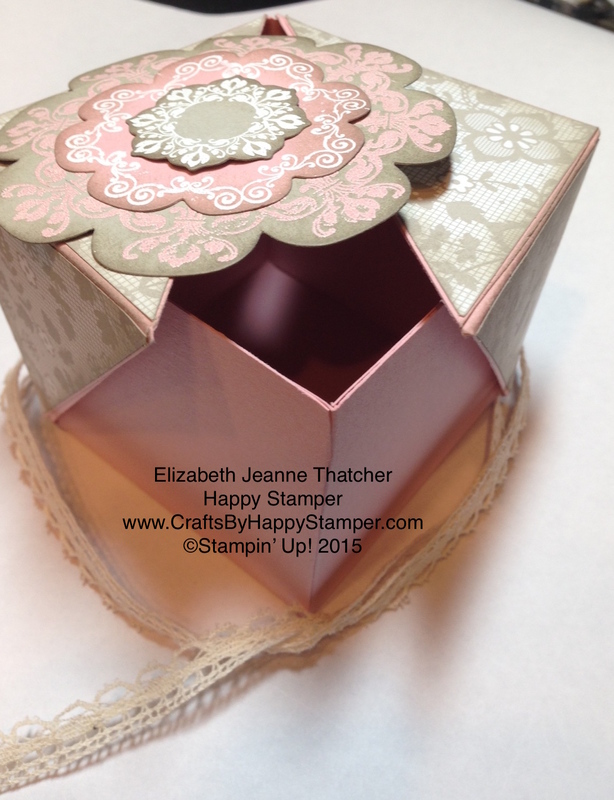 Don’t forget that you can sign up for my online or in-person Stamp Clubs and Technique Clubs by clicking on the calendar to the right or clicking on the pages above to find out more information! Keep Scrolling for the supply list and Special Offers! Click next to see Andrea’s Awesome Creation! Don’t forget that the 2013-2015 in-colors will be retiring soon. You should stock up now, or check out my Product Share page, so you can have it all without spending so much money! FREE tutorial with any $50+ purchase! 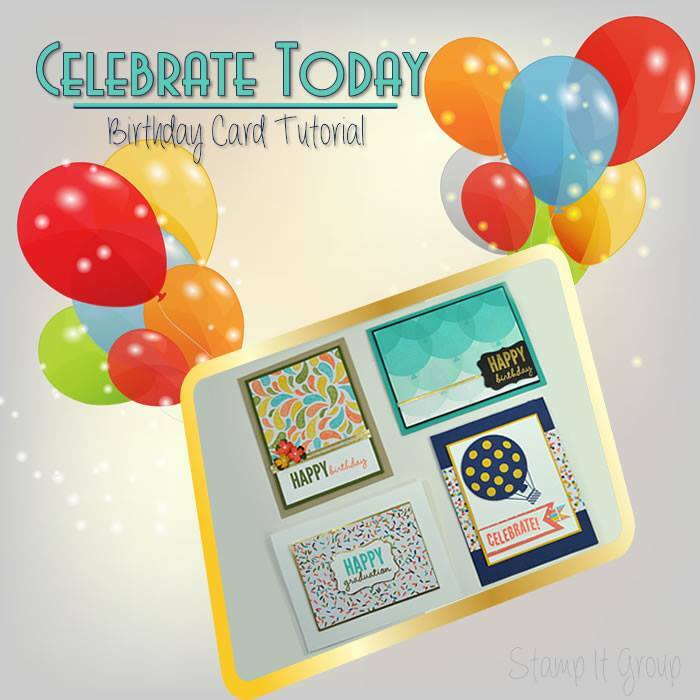 Celebrate Today Birthday Card Tutorial. Swatches and Product Shares! Order Now! What great projects! my MIL would love the flower pot card – she’s a gardening lover! and the box is very cool – I haven’t seen that before! TFS Elizabeth! Thanks Holly! 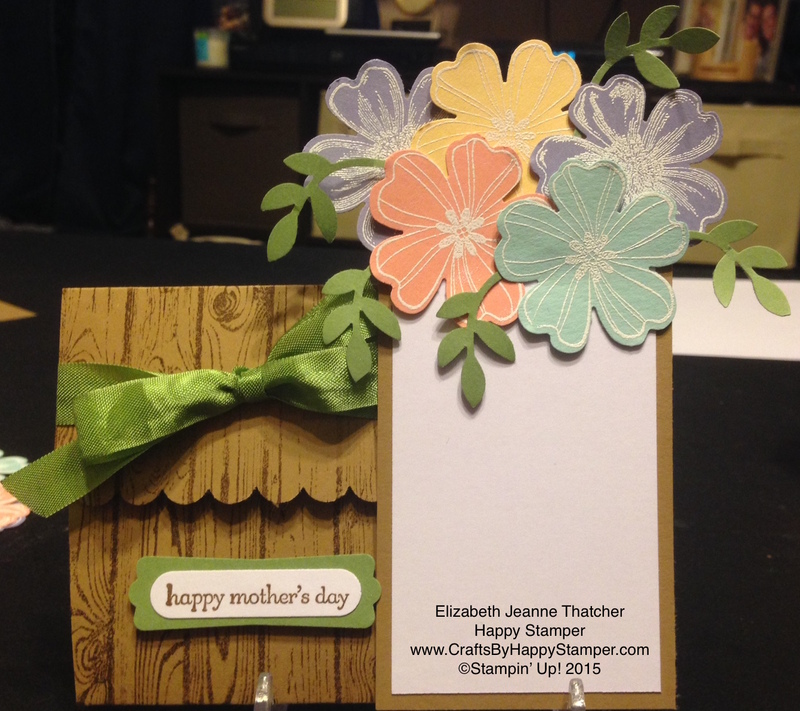 The Flower Pot card is super easy to make! Loves it! The box is incredible! Elizabeth!! I love your two projects!! I think you need to send me the box! It is my colors for sure! who doesn’t love a pot of flowers? 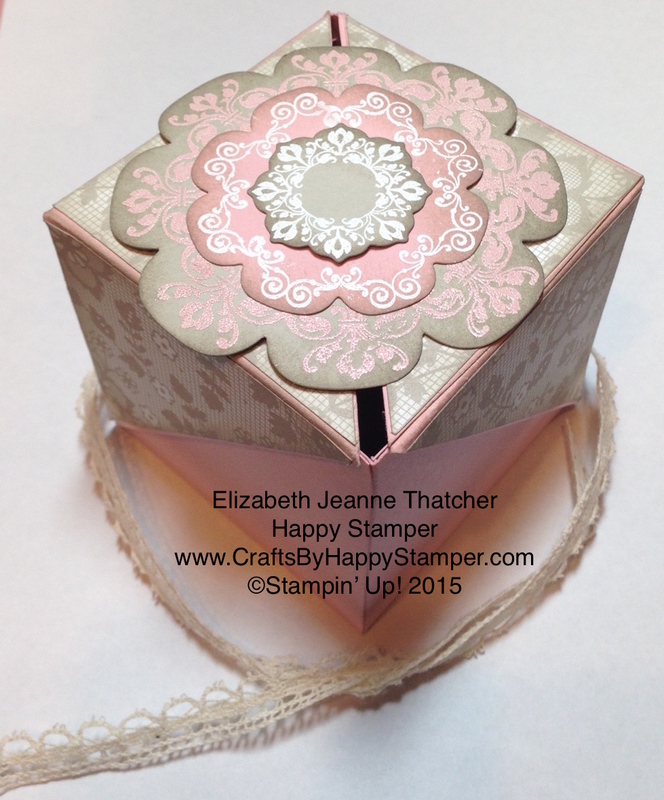 cute card – but that box…that box is beautiful! Awesome projects and excited to watch your video soon! The flowers in all the colors just make me happy and the box intrigues me. I think I need to be making one of those real soon.